Opposition Congress in Meghalaya is unlikely to stake claim for the formation of a Congress-led coalition government with party legislators busy campaigning for the by-election to Ampati Assembly seat slated for May 28. Sources within the Congress said that the Congress Legislature Party (CLP) leader, Mukul Sangma along with other party legislators were not in the state capital for marching to the Raj Bhavan. Mukul Sangma has been camping in Ampati to campaign for his daughter, Miani Dalbot Shira who is the Congress candidate for the by-poll. “We leave to the legislature party to decide on this matter (to stake claim for government formation),” a senior Congress leader said. Moreover, Governor Ganga Prasad is also not in the state capital. In March, the governor invited the NPP and its partners to form the coalition government in Meghalaya, though the Congress emerged as the single largest party with 21 MLAs. 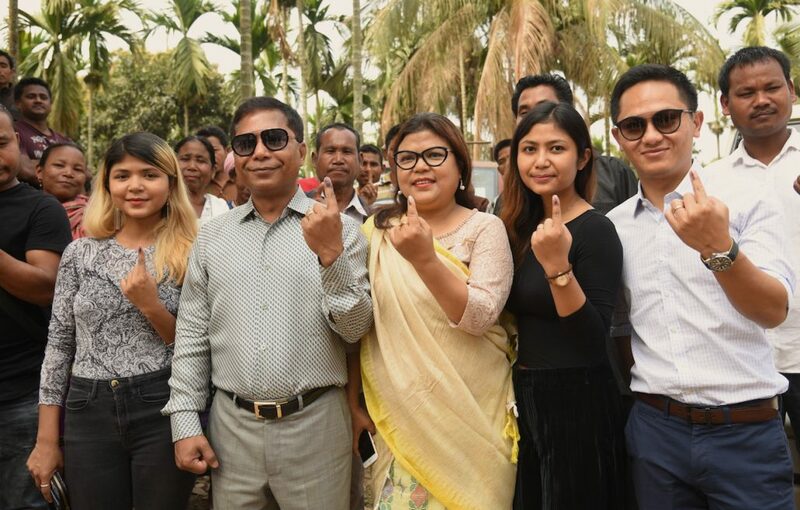 After former chief minister, Mukul Sangma resigned as MLA of Ampati constituency and remained as the MLA of Songsak, the Congress now has 20 MLAs, and the NPP also has 20 MLAs after winning the adjourned Assembly election to Williamnagar constituency recently. Earlier during the day, the Meghalaya Pradesh Congress Committee organized a protest demonstration against the decision of Karnataka governor, Vajubhai Vala who invited the BJP with 104 MLAs to form the government but rejected the Congress-JD(S) combine which got the clear majority of 116 MLAs to form the government. The protest was organized at Congress Bhavan where state party president, Dr Celestine Lyngdoh and other leaders and workers, along with some party legislators took part. While shouting slogans against the BJP, protesters questioned as to why the Congress that emerged as single largest party in Goa, Manipur and Meghalaya was not invited to form the government. Later the Meghalaya Pradesh Congress Committee submitted a petition to President Ram Nath Kovind through Raj Bhavan requesting him safeguard the democratic principle and sanctity of the Constitution.